Bath Rug - 31 inches (Width) x 20 inches (Height), 80cm x 50cm; Wide Size. 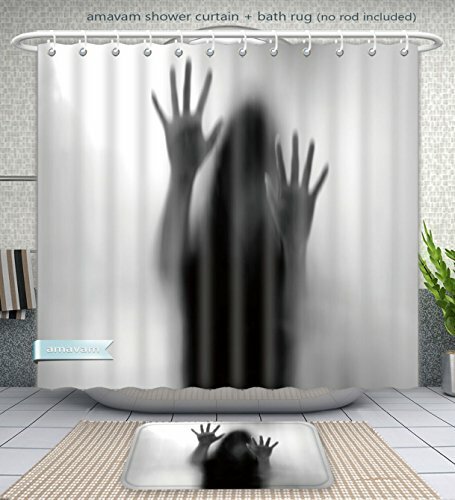 The Shower Curtain is made to be mildew and mold resistant by using antimicrobial technology. This product repels water which makes keeping your shower curtain clean even easier. This Shower Curtain is machine washable and can be used in the dryer. In addition, this product resists creasing and shrinking.